RAMONES MUSEUM hosts various events every month. Every second and third wednesday we have movie nights and get togethers. Occasionally we have bands perform live or meet their fans for an instore autograph session. 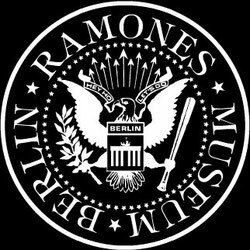 RAMONES MUSEUM also hosts parties for brands, music and movie companies or close friends. If you want to us to host your event, please drop a line to mail@ramonesmuseum.com for more infos. FLO HAYLER on tour with the best stories from his book and the best photos of the Fast Four.